The paperless movement has changed the way publishers conduct business. 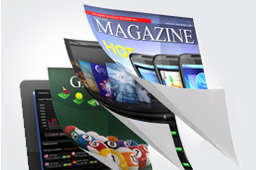 Apps and on-line subscriptions are replacing hard copy newpapers and magazines. A wealth of free on-line information has reduced the need to pay. As publishers tailor their products for a new enviornment, Cross Country Computer is here to help with solutions that leverage our data management expertise and provide the hygiene, insight and campaign management needed to generate profits. Cross Country Computer offers a range of solutions specifically designed for publishers in support of their efforts to flourish in the digital age. From optimizing prospecting investment to realizing a timely return that can only be generated with the appropriate contact strategy, we are here to help. Cross Country Computer facilitates analysis and cross-sell targeting across your entire subscriber base with individual as well as corporate level data aggregation and reporting. Save money by eliminating contacts to unresponsive segments with our promotional history database solution which helps determine the appropriate investment in an individual before flagging them as a suppression opportunity from future offers. For B2B publishers, our Title Beautification process helps to refine your target audience and message by position, department and broad professional discipline. To learn about these services as well as other ways we can help reduce your acquisition costs while growing your active subscriber base, contact us at Inquiry@CrossCountryComputer.com or 631-851-4234. "BusinessWeek has been a customer of CCCC for many years. When I think of CCCC, outstanding customer service comes to mind. Over the years, we have asked CCCC to jump through hoops for us- even requiring staff to work weekends - and they are happy to do it. They consistently exceed our expectations and this is why BusinessWeek will be a CCCC client for many years to come."